My son found a cool web site that converts blazons into emblazons. 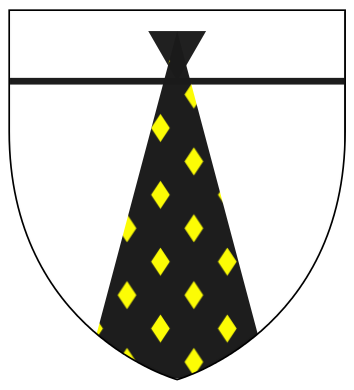 For those unfamiliar with heraldry terms, a “blazon” is a textual description of a coat of arms in a formal language, and an “emblazon” is a pictorial representation. The language of heraldry can be thought of as the first markup language (predating HTML by hundreds of years). The server runs a python program (pyBlazon) that parses the blazon and constructs an SVG image of the emblazon. Since most browsers do a terrible job with svg (even Firefox), the server uses another tool to covert the svg to png for rendering. The Society for Creative Anachronism has some useful articles on heraldry for beginners. WordPress’s proofreader suggests “fimbriated ore” to replace “fimbriated or”. I’m imagining rocks with little bits of gold leaf on the edges.